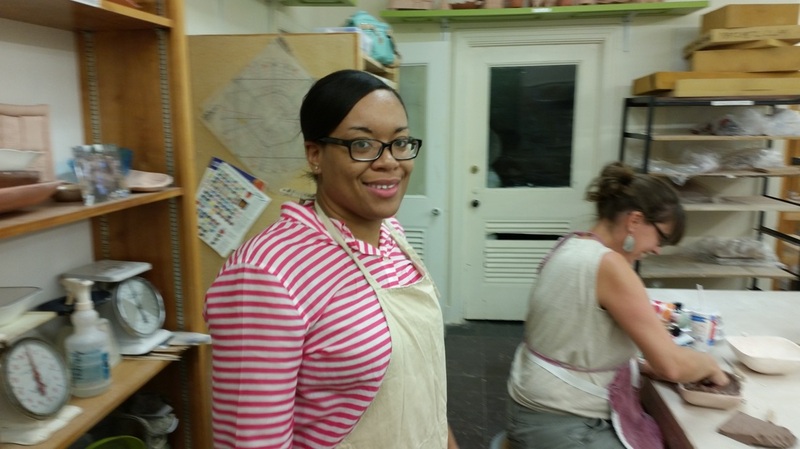 "I originally started in pottery when my only child left for college. I had spent so many years focusing on being a parent and had not done anything that focused on ME and having fun myself for a long time. I was invited to a "pinch pot" party and stood around table with 8 or 10 other people and hand formed a tiny clay pot. 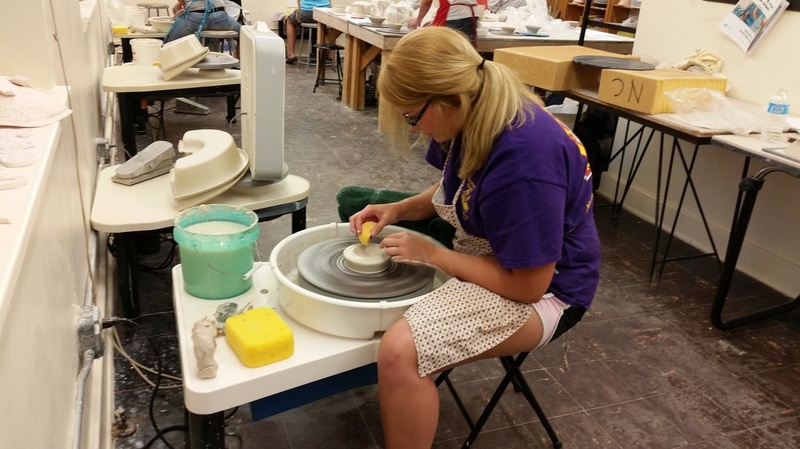 I was amazed that as I touched and molded the clay, my entire focus went into that little pot. I didn't think about my daughter, or my work deadlines, or any of my usual worries. My head cleared and I just manipulated that clay until I got a smooth little bowl form. It wasn't perfect, it wasn't beautiful, it wasn't extraordinary...but I made it. As I drove home from the party, I couldn't quit thinking about how I could have made a better pot. I wanted to get my hands on that clay again. So I went home and enrolled in the class. It was the best thing I ever did. Over my many years as a studio member I have met so many wonderful people. The clay community has become my second family. The atmosphere at the studio is always cheerful...there is always laughter and sharing of ideas and stories. It is the most welcoming group I have ever joined. New members are immediately brought into the circle. Everyone is willing to share their tools, their talents and their stories about how they struggled when they started. 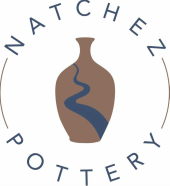 Those of us who have been working with clay awhile often talk about how we can't explain to people exactly how important pottery is to us and what a change it has made in the quality of our lives. I guess you will have to join us and find out for yourself."